Natalie MacLean, MD, MSc, FRCPC, is an experienced rheumatologist at Kaplan MacLean Rheumatology in Encinitas, California. She provides specialized care to patients with arthritis, osteoporosis and all other rheumatologic conditions. Dr. MacLean received her medical degree from the Schulich School of Medicine and Dentistry at the University of Western Ontario. She completed her residency in Internal Medicine and Fellowship in Rheumatology from the University of Alberta. She is a Fellow of the Royal College of Physicians and Surgeons of Canada in Internal Medicine and Rheumatology. She is also a member of the American College of Rheumatology and the American College of Physicians. 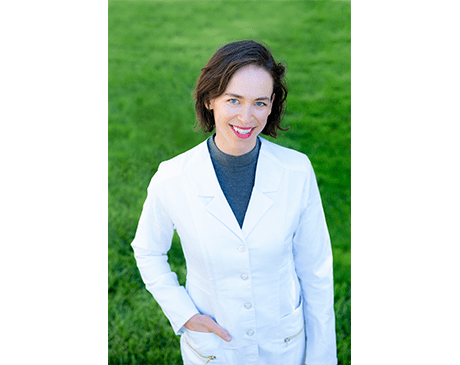 Dr. MacLean holds her undergraduate Honours Degree in Biochemistry from Mount Allison University and her Masters of Medical Sciences - Oncology from the University of Alberta. She is a professional microscopist and worked in biomedical research at the University of Victoria and the University of California San Diego prior to her medical training. Before forming Kaplan MacLean Rheumatology, she was Clinical Lecturer and Rheumatologist in the Division of Rheumatology at the University of Alberta, where she enjoyed teaching students and residents. Her friendly nature, enthusiasm and genuine passion for her patients provided her with the reputation for being able to connect easily with them, providing comfort during often stressful times or sharing a laugh. Dr. MacLean is a fitness and food enthusiast, which she admits are sometimes at odds with each other. She looks forward to meeting you at your next appointment.